Dinosaur Comics - November 20th, 2015 - awesome fun times! 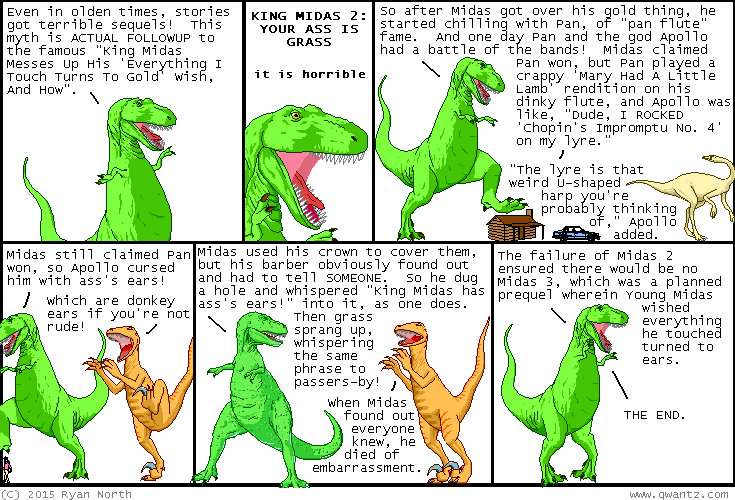 November 20th, 2015: If you haven't read my comic The Midas Flesh then dang, you should fix that! !